The Muckross Park is a fabulous venue, extremely popular with wedding couples, right in the National Park. The location made it a lovely day out – even though the weather wasn’t great. 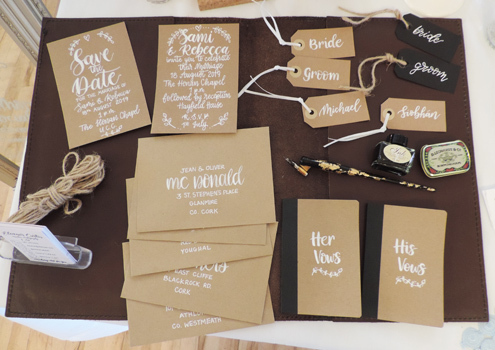 This was my first wedding fair (as a vendor or customer) so I really wasn’t sure what to expect. I set up my little stand to display materials used for rituals such as a Handfasting or a planting ceremony. Some wicker pentagrams that I had decorated with handmade paper flowers and an easel displaying my new logo. You can’t see the logo in the photo (bad photography skills on my part!) but this is it. 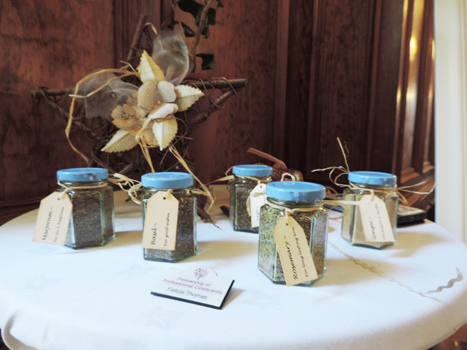 For the planting ceremony I displayed some jars of herbs. Each herb has a different symbolism (Marjoram for example represents joy & happiness) and is added to the soil during the planting. This encourages those sentiments to grow, like growing your good wishes. Some people were really open to having a ritual added to their ceremony, it might be something that they hadn’t thought of or didn’t know about, so it was great to be there to represent something alternative. 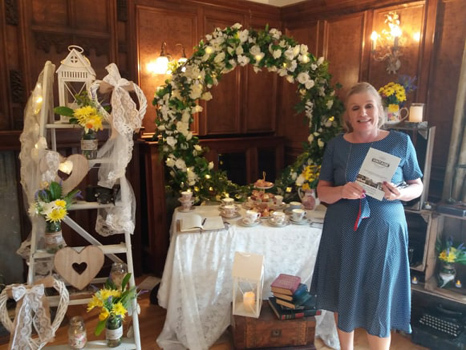 Some were very sure that they wanted to be more traditional, which is why a wedding fair is a great place to go, there is something for everyone! I met such lovely people there, the vendors were so friendly and welcoming. The queen of Calligraphy, Eleanor Curtin. 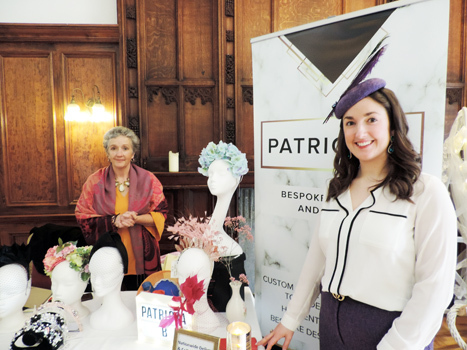 This is Patricia from Patricia B Millinery. 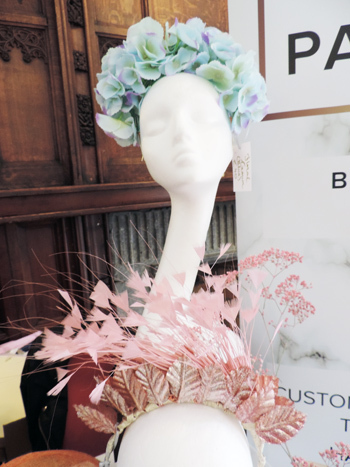 Great fun was had trying on her gorgeous creations – I especially liked this one! Geraldine from Very Vintage Occasion had an amazing stand. Everything from floral arches to vintage tea cups. 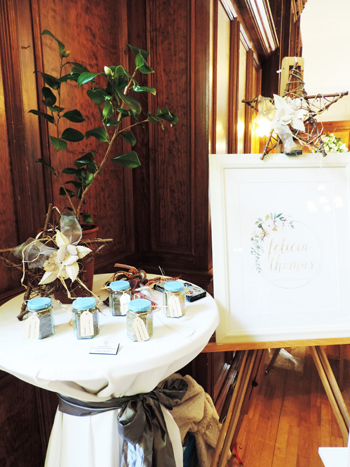 She does decor for wedding venues as well as hen parties and birthday parties. I can’t imagine how long it takes to set it all up but it looked amazing! I also met, but failed to take photos of Hazel from Nom Nom Cafe, she will bring her coffee stand your ceremony venue. That way your guests enjoy a lovely cup of coffee while the photos are taken. 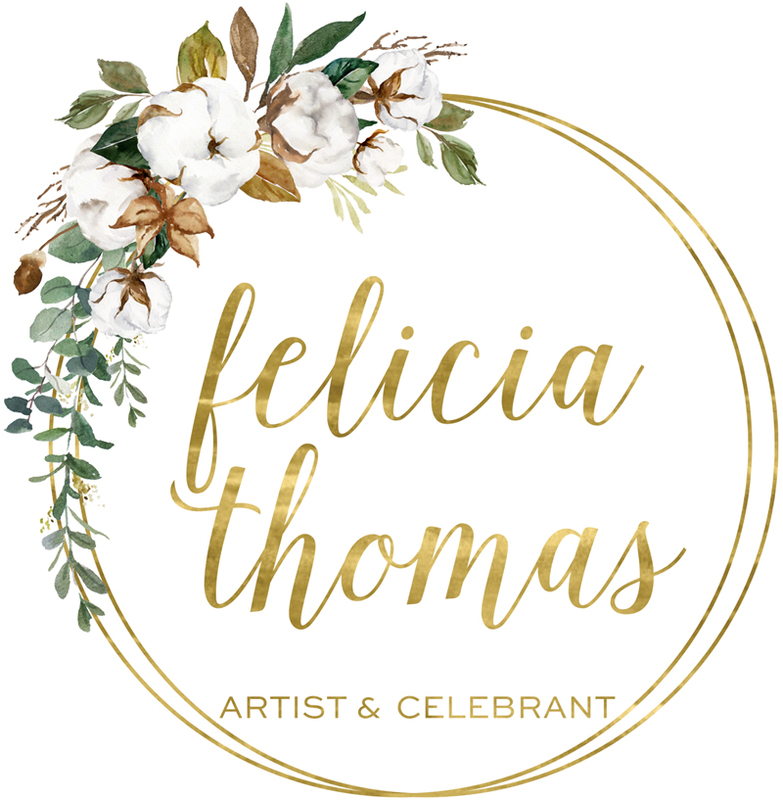 Yesca Flowers had flower crowns that you’d want to wear everyday, and Imelda McCarthy was there to plan the Honeymoon of your dreams. So, thank you to all the interested couples, I look forward to working with you. To all the vendors and organisers, it was a great day, thank you for your company and chats! If you are getting married in Kerry you should check out these links, you couldn’t ask for nicer people!